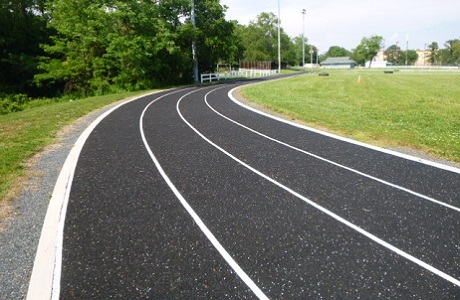 Rubberway's rubber running tracks provide an ergonomic, safe, non-slip surface for walking, jogging, and overall physical fitness. 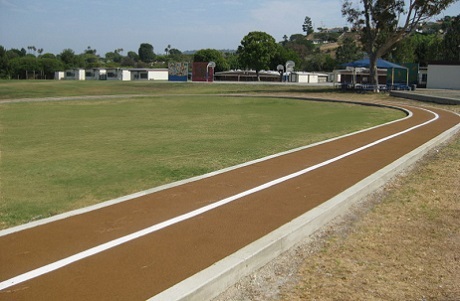 Perfect for schools, recreation centers, military bases, communities, and corporate campuses, our rubber training tracks are porous, allowing water to drain through for quick drying and for storm water management. 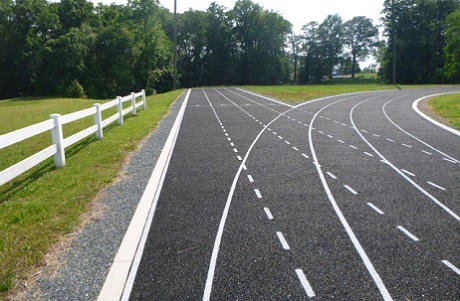 Numerous Rubberway systems can be customized to varying levels of thickness, porosity, and resilience for the ideal rubber running track or jogging trail including the two discussed below. 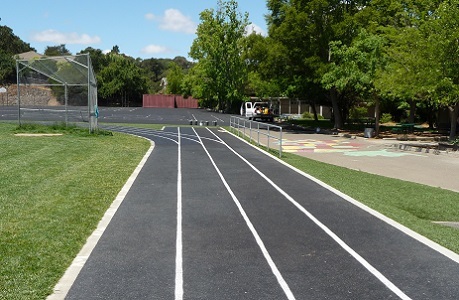 Rubberway Softwalk is a system specifically designed to offer pedestrians and joggers a low-impact, good traction, firm but resilient running track surface. This poured, multi-layer system consists of a shock absorbing base layer fabricated from recycled rubber tires, topped with EPDM, a colored pure virgin rubber with UV resistance. 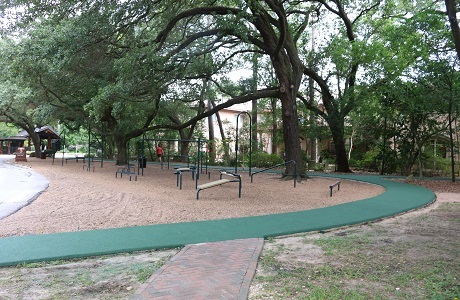 This rubber athletic track allows joggers and athletes to exercise safely while being able to support wheel chairs, strollers, and bicycles as well. Rubberway Softwalk is available in a wide variety of colors. 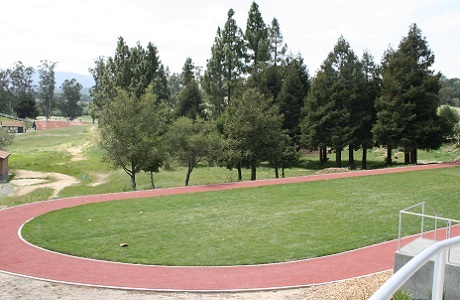 Rubberway's pervious rubber pavement system is perfect for walking and jogging trails as well as running tracks. 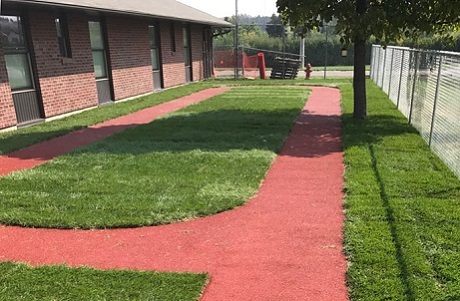 These rubber running trails are constructed of a larger recycled crumb rubber granule than the Softwalk system, which creates a very porous surface allowing for rapid rainwater dispersion and quick drying. This easy to install, single layer system is made from 100% recycled rubber. Rubberway Pervious Pavements are available in black, dark brown, brick red, green, tan, and gray.